Another star curator Jens Hoffman had previously attempted his own restaging of the same exhibition but this time he invoked the spirit and ethos of the exhibition concept itself. His exhibition in 2012 for the CCA San Francisco, “When Attitudes Became Form Become Attitudes” (I know somewhat confusing!) is treated like a sequel to the original exhibition. Contemporary artists who would have been of a similar age as the original 1969 artists were invited to exhibit in the spirit of the original show. Hoffmann refers to the enthusiasm young artists still show for the ideals expressed in the original exhibition and nostalgia for a time before the art market was so central, a time to quote Hoffmann,“Where artists were still investigating really radical questions, and the concepts were pushed to their limits and its boundaries.” Daniel Buren had recognized this trend in his 1972 essay “Exhibition of an exhibition” wherein he notes, “More and more, the subject of an exhibition tends not to be the display of artworks, but the exhibition of the exhibition as a work of art”. Little did he know how far that idea would go! 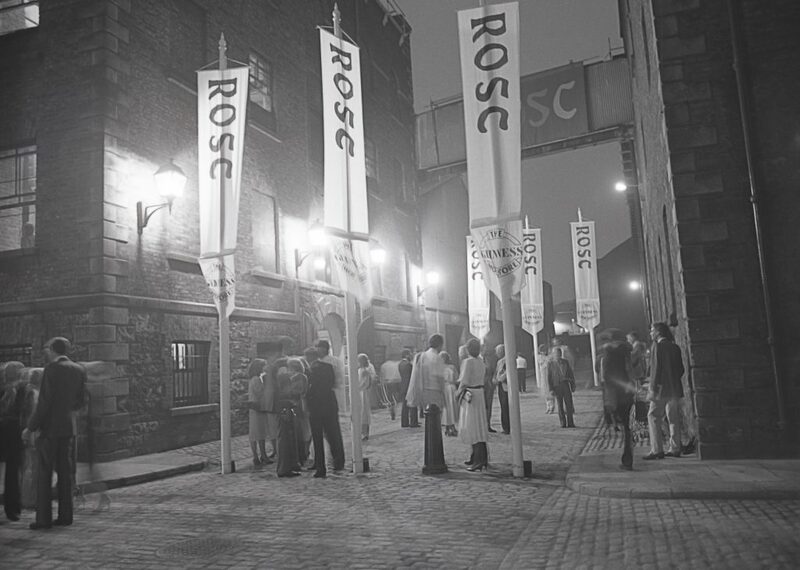 To imagine where ROSC would be today if it had continued you could compare similar periodic exhibitions that have survived from the 70s. Many of these exhibitions are constantly debating their format and frequency. For example, I attended the press launch of Skulptur Projekte Münster (SPM) 2017 held in the Old Theatre Münster. Chaired by the indomitable artistic director Kasper König, this is the fifth edition of this decennial exhibition. 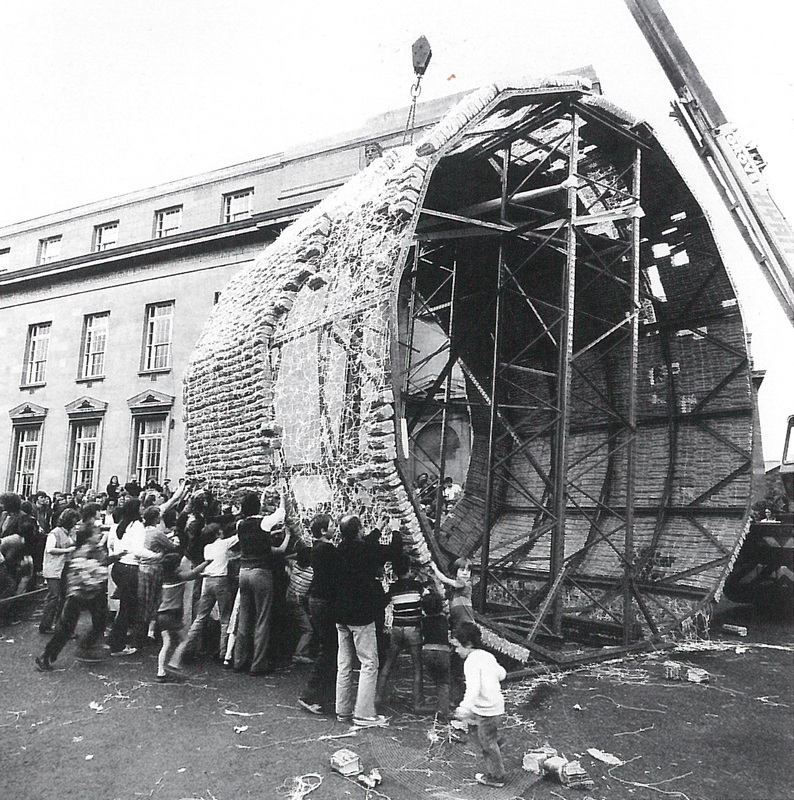 Founded in 1977 it has fought off a push to change the frequency of the exhibition to a quinquennial to match nearby documenta. Though there seems some sense in the proposal, as you could poach the art crowd from the more popular documenta, it goes against the very founding ethos of SPM. At the press conference König made several references to the virtues of leaving ten years between exhibitions. He said it takes 5 or 6 years to properly judge a show and he is proud they didn’t become something stupid like the Rocky series. IMMA’s ROSC 50- 1967-2017 judges ROSC with a distance of 50 years and 29 years in the case of the final ROSC in 1988. With the advantage of time we can appraise the selection of artists according to how their careers developed. Would the visitor to ROSC ‘88 have guessed that a Basquiat painting would become one of the most expensive artworks ever sold or that Anthony Gormley would become so ubiquitous? Here I was about to list the artists whose careers took a nose dive such as Gunter Brus, Luciano Fabro and Gilberto Zorio all from ROSC ’88. However here is a lesson to any would be art historian, Brus and Fabro were included in documenta 5, and Zorio featured in “When Attitudes Become Form” the very exhibitions I am holding up as exemplary and a foil to the more conservative ROSC. But the more significant lesson is to note that the ROSC ‘88 catalogue does not deem it important to list either documenta 5 or “When Attitudes Become Form” as part of the artists selected exhibitions. This post alongside a new text by Sarah Glennie is included in EDITION #001 of the IMMA EDIT. Subscribe to the IMMA Mailing List and select ‘IMMA EDIT’ to receive the future quarterly editions of the EDIT.